Grease. Grime. Lawn clippings. Mud. 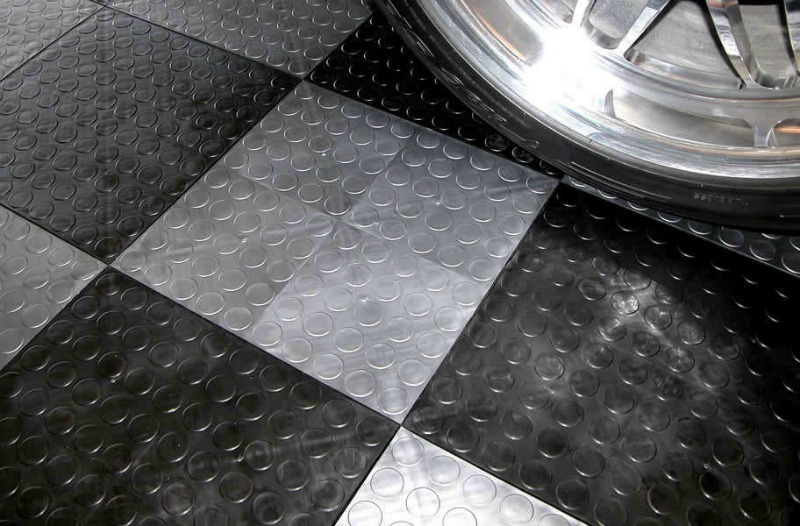 There’s a lot going on in your garage – you need a floor that can keep up. From the old standbys – concrete and paint – to rubber or even epoxy floors you can easily DIY, you’re sure to find the right product at the right price. While for most garages concrete is fine, it does stain, and can get pretty grimy as dirt and oil begin to build up on the floor. Better yet, apply one of the flooring options below before any real damage sets in. Paint is a little better than raw concrete, is inexpensive, easy to apply (and re-apply), plus it offers a wide range of design and color options if you are so inclined. If you opt for paint, choose a heavy duty paint that is suitable for floors. Available mostly in rubber and vinyl, garage mats are a good option for many reasons: they are easy to clean, easy to replace and not too expensive. Chances are you won’t be covering the entire floor with mats which leaves some of the concrete exposed. On the plus side, the added cushioning found in most floor mats for garages makes for a more comfortable work space. A lot of homeowners choose interlocking floor mats. Easy to clean, they are also easy to install. They are most often made of rubber or vinyl which gives them some natural stain resistance and comfort underfoot. Both of these commercial grade floors are great options for garages. They come in a variety of colors and surface treatments for a more pleasing overall look. They also provide some stain resistance and are easy to install. New epoxy floor treatments have the added benefit of sealing the entire floor. They’re usually fairly plain looking but give you all the functionality you’ll need in a garage floor. While known for being a simple do-it-yourself project, I do wonder about fumes, especially if they get into the rest of the house. Proper ventilation can easily solve that problem, but with curing times as long as 12 hours for each subsequent coat of epoxy, you could be looking at long exposure times. Even this should not be a problem, but you should be aware of this if someone in the family has chemical sensitivities or allergies. 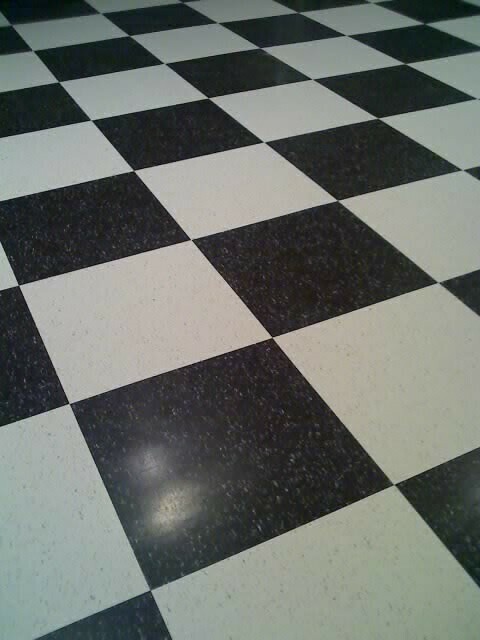 Epoxy floors also require a significant amount of cleaning and surface preparation. I recommend either tile or planks, especially in those glued directly to the subfloor, are a natural choice. They are one of the toughest performers floors out there that can stand up to the traffic. Choose light to heavy commercial grade depending on your needs. If your garage houses your antique car collection you may want it to look a bit more like a showroom. Look for commercially rated tiles. This way you’ll have the color and style you want with the performance you'll need. You may want to seal grout lines which are susceptible to staining.